53% Male 47% Female. 72%, White 19%, Black 3%, Multi 1%, Asian 1%, American Indian 4%, Other. 73% believe they will graduate from high school (The actual number will be 96% or above). 25% live with just their mother. 9% live with a relative. 6% live with friends. 31% have a mother who earned a high school diploma or equivalent. 32% have a father who earned a high school diploma or equivalent. 8% of fathers are not employed. 50% are on free and reduced lunch. 27% are in the top fourth of their class. 53% are in the middle, 20% are in the bottom fourth. 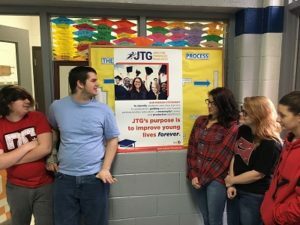 Anderson County Career and Technical Center JTG students checking out the program’s mission statement poster. In no way was this posed. Let that last statistic soak in a bit. It’s incorrect to assume that JTG students are the bottom few dozen GPA’s in a senior class. 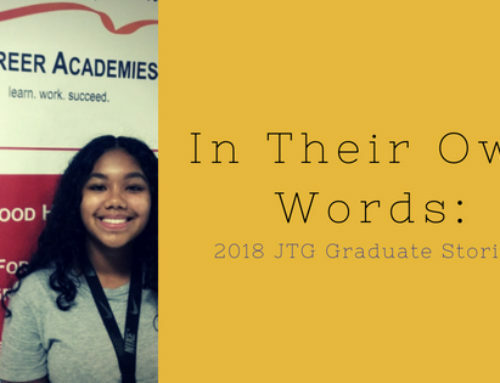 JTG students have been valedictorians, honor students, from affluent homes. Barriers to graduation range from single-parent households, to living off state and federal programs, absenteeism due to a sick parent and/or a parent serving in the military. 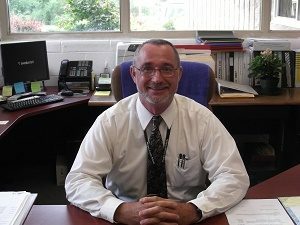 Morgan County Career and Technical Center Director/CTE Director Dr. Joseph Miller supports JTG so much he serves on the program’s board. Again, not a posed picture. I share this with you so you can get your head around JTG programs at Anderson County Career and Technical Center (Clinton), Morgan County Career and Technical Center (Wartburg) and Wayne County Technology Center (Waynesboro). They are among the 19 JTG programs thriving in 15 counties. These places have great leadership and do amazing jobs. The rock star JTG specialists are Estle Muncy, Sarah Seavers and Gregg Lee, respectively. Their students feed in from other area high schools. These students have barriers to graduation but are guided toward post-secondary that align to their interests and lock into a career direction. Some are earning credits that transfer to community colleges. Some jump right from the graduation ceremony to full-time employment. What do you call those young people who have full-time jobs? TAXPAYERS. 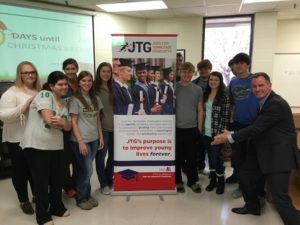 Visiting the JTG students at Wayne County Technology Center in 2015. Absolutely no posing here. I visited Morgan County Career and Technical Center yesterday and always come away with the way impressed with the way the place is run, how clean it is, the discipline enforced and the attitude of the students. 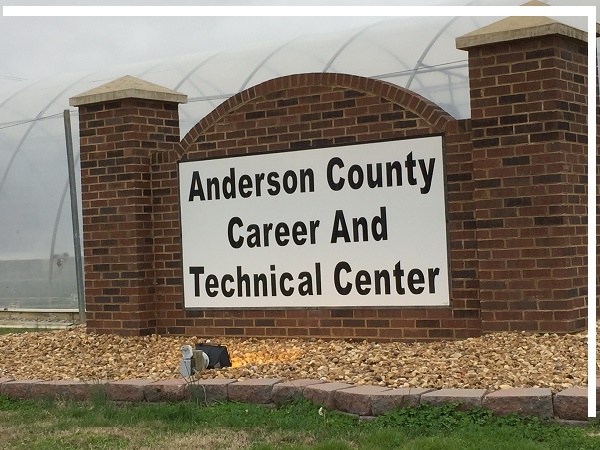 Same goes for Anderson County County Career and Technical Center and Wayne County Technology Center. 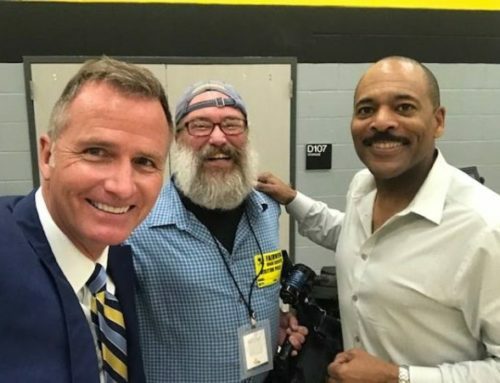 Good people, working their behinds off to make sure their students have every opportunity to succeed. They fight and scrape for resources from the state and do the best with what they receive. So the next time you are seen by a nurse practitioner, take your pet to a vet, have your car in the shop or get your hair or nails done, there’s a chance you’ll be helped out by young people who were educated at a career/technical center. That’s because they had a chance to go to one of them, and receive an education, from good people, that led to a better start to their adulthood.